Once you’ve gone through what can be a very long process of finding a real estate agent, you might be wondering if you should use this individual for multiple transactions. For example, should you use one agent to sell your current home and buy a new replacement home? This is a frequently asked question because it’s a pretty common scenario. After all, if you sell your existing home, there’s a good chance you’ll need a new one, assuming you don’t decide to become a renter. There and pros and cons to using one real estate agent versus several – let’s discuss them. First off, one of the major advantages of using just one agent to both buy and sell your homes is convenience. You only need to work with one agent. You only need to vet and get to know one individual. They should know what you like, want, expect, and so on. It’s just easier to deal with one person as opposed to two, especially if it’s a contingent sale and purchase occurring at the same time. But easier isn’t necessarily the goal here. Getting top dollar for your listing and the lowest possible price for your home purchase are. So just because it’s easier doesn’t mean it’s better. In fact, it could turn out to be a lot worse. Perhaps more important is saving money by using the same agent for two transactions. While it’s not a guarantee, many agents will agree to cut you a deal if you work with them on two transactions. For example, if you list with them and they represent you as a buyer on your replacement property, you should be able to get some sort of discount. Say the typical real estate commission is 5% in your area, with 2.5% going to each agent. They may agree to charge just 2% on their end to list, then take their standard commission when you buy a place. Or they may even provide a deeper discount on the listing. If you’re particularly friendly, they may provide discounts on both transactions, or a credit for closing costs, etc. Simply put, using the same agent can save you thousands of dollars in costs. Just make sure those costs aren’t lost to poor negotiating on their part. Tip: Ask for a discount on the listing fee in case you don’t use them on the subsequent purchase for whatever reason. That money can also come in handy for the down payment and closing costs. Now let’s talk about some of the downsides to using the same real estate agent to buy and sell a home. The biggest negative is using a bad agent twice. It’s pretty straightforward, but human nature to do the same wrong thing over and over again. You see it all the time. The agent and the homeowner have a bad experience, but when push comes to shove, they use that same individual again. Perhaps they think it’ll be different the second time around. And maybe it will be, but why reward someone who messed up already, or even take that risk? The other negative is that the agent might influence what happens with the first transaction knowing they’ve got a second one coming. In other words, they may rush the sale of your home to get you into a new one. 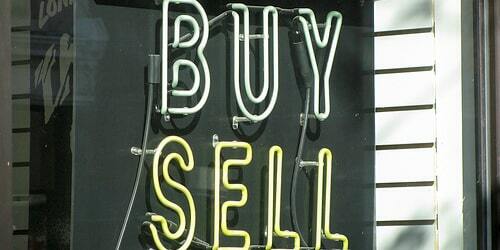 Or even recommend you sell and buy at the same time, even if creates a really stressful situation. But this is really only an issue when you’re trying to juggle multiple transactions in a short span of time. It doesn’t really apply if you keep your existing home and rent it out, or if you have multiple transactions over a long period of time. Another issue is that a particular agent might be good at listing properties, but not so good at representing buyers. Or you might be selling in an area where they live and are an expert, but buying in an entirely different city or state they have no knowledge of. In that case, they might not be the best agent for both jobs. Of course, if you put in the time to properly vet and get to know your real estate agent, they could well be your go-to person for any and all real estate transactions. Remember, the onus is on you as the homeowner to keep your agent accountable and to do your homework so you’re not just relying on them to come up with all the answers. The more knowledgeable you are as a homeowner, the better off you’ll be, regardless of how many agents you choose to work with. Be sure to come up with a plan before you decide to buy, sell, or do both concurrently. You should be confident that your agent can pull off whatever strategy they come up with. Read more: Ask your real estate agent for a discount.